It is almost Back to School time! 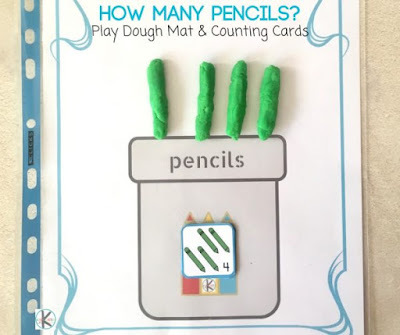 The perfect time to practice counting and color recognition with these pencil Counting Playdough Mats! 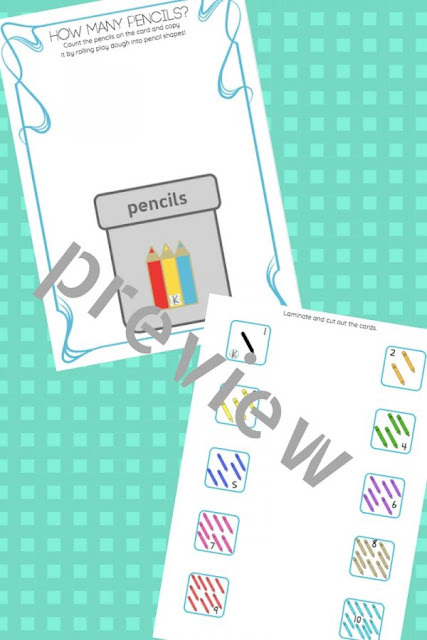 Simply print, laminate, cut and you are ready to play with these Pencil Counting Playdough Mats! These printables are SO fun for little ones to practice color recognition where the card shows the color play dough to use. 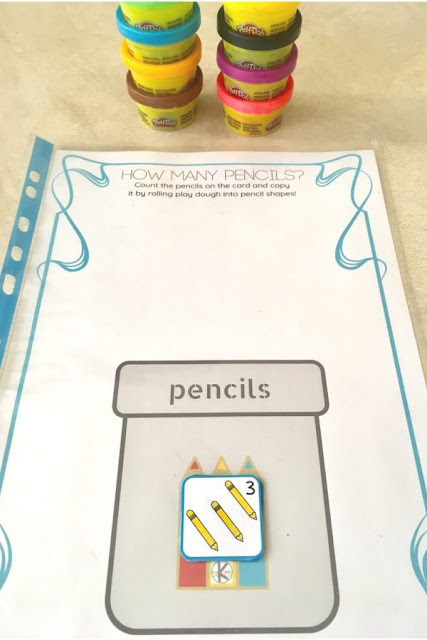 Also, counting and number recognition is develop where the cards show the number of pencils and the child count it and recreate it using the play dough. Not to mention hand and finger muscles develop by rolling the dough. Using play dough adds a sensory element to this activity which aids learning and makes it more fun too! HINT – Try making your own Kool Aid Playdough! 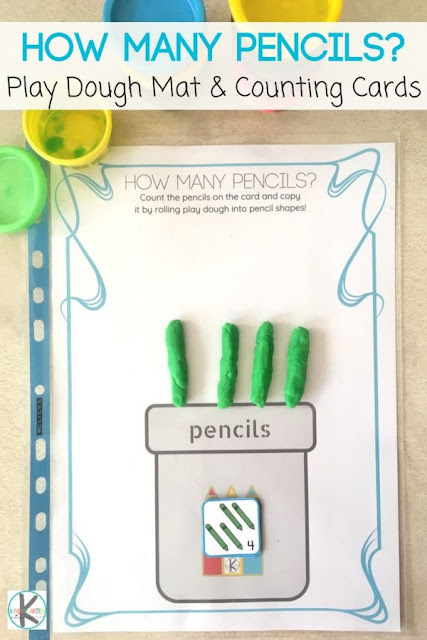 Substitute the play dough for real pencils or mini erasers for an alternative option. This activity can easily be stored in a bag and be used as a busy bag while traveling, waiting at a restaurant/doctor’s office or simply during quiet time! Such fun Counting Playdough Mats that make the perfect kids activity for preschoolers or kindergarten age during a Back-to-School unit!